Durable metal housing, easy to carry, with a small case to protect it. The loupe is a viewing loupe of very high quality . Triplet loupe is meant for viewing objects that are invisible or poorly distinguished to the naked eye. The magnifying loupe has three achromatic, colour correction, antireflection lenses that make it possible to see the image as precise and clear as in the original. Due to the presence of three lenses the magnifier is called a triplet. The magnifying loupe is rugged and convenient to hold in hand, its outer casing is made of steel which prevents it from mechanical . Due to its high quality and great magnification the triplet loupe can be applied for different purposes. Best for examining fine details in documents, jewelry, coins, stamps, electronic parts, currency, film negatives, and more. It comes with its own hard plastic felt lined storage case, include a small loop to attach to a neck chain or key chain. This extremely powerful Jeweler's Loupe is 3 times more powerful than the average louple. 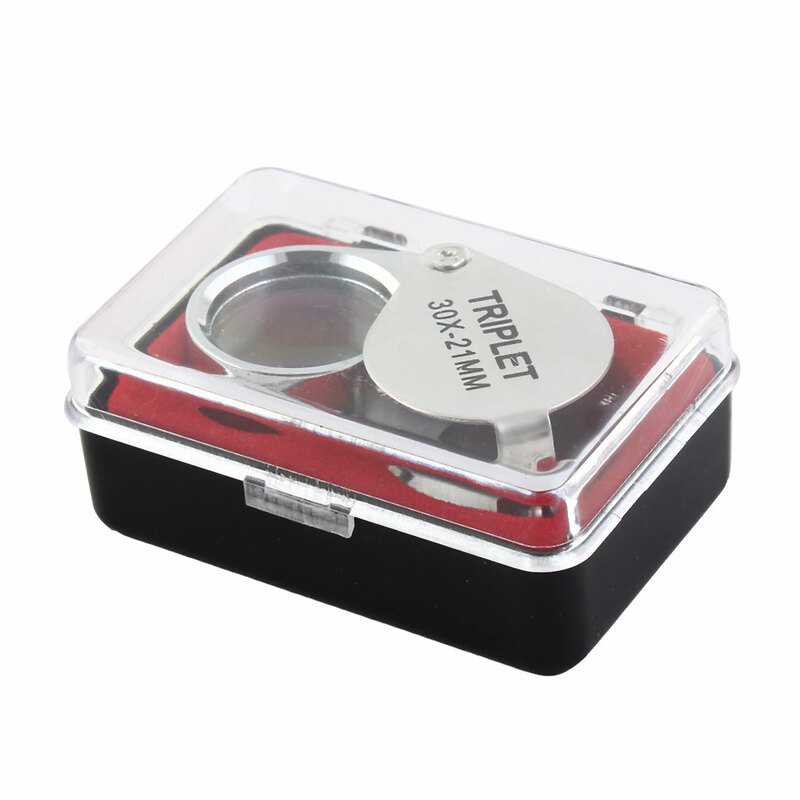 Great product for the watch making industry, specially for inspecting those tiny objects. Just pull out the jewelry loupe to use, and put it back when not in use.